A Beloved Author Gone--Her Books Live On! Ashberry Lane announces the bittersweet release of Broken Wings, the first book in the Thistle Series. Only a short time ago, we offered a contract to the amazing Dianne Price for her six-book WWII romance. Knowing she had terminal cancer, we did everything within our power to get the first book out while she was still alive. The print book will release soon--check our Product Page to place your order! Foremost, to the glory of my Lord and Savior, Jesus Christ. And for my husband and best friend, True, who always wore the “Colonel’s cap” in our family, but only with calm Christian dedication, love, and compassion. See you in Heaven, my luv! Dianne was granted her wish and she joined her beloved Savior and her husband in Heaven. She is probably dancing a Scots reel even as you read this. He lives to fly—until a jagged piece of flack changes his life forever. A tragic childhood has turned American Air Forces Colonel Rob Savage into an outwardly indifferent loner who is afraid to give his heart to anyone. RAF nurse Maggie McGrath has always dreamed of falling in love and settling down in a thatched cottage to raise a croftful of bairns, but the war has taken her far from Innisbraw, her tiny Scots island home. Hitler’s bloody quest to conquer Europe seems far away when Rob and Maggie are sent to an infirmary on Innisbraw to begin his rehabilitation from disabling injuries. Yet they find themselves caught in a battle between Rob’s past, God’s plan, and the evil some islanders harbor in their souls. Which will triumph? Dianne fell in love with writing at the age of five. Because her father was a barnstorming pilot, she was bitten early by the “flying bug” as well. She attended the University of California, Santa Barbara and met and married the man God had prepared for her—an aeronautical engineer. After their five children were in school, she burned the midnight oil and wrote three novels, all published by Zebra Press. When her husband died only three years after he retired, she felt drawn to visit the Outer Hebrides Isles of Scotland, where her husband’s clan (MacDonalds) and her own clan (Galbraiths) originated. Many yearly trips, gallons of tea, too little sleep, and a burst of insight birthed her Thistle Series. 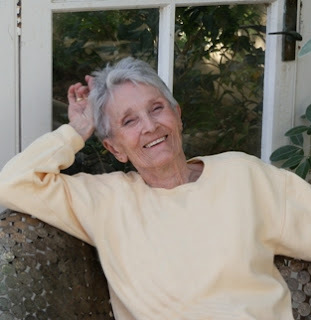 PUBLISHER’S NOTE: Dianne, born August 1933, lived joyfully despite dealing with terminal cancer and died in August 2013, a mere week before the release date for the first book of this series, Broken Wings. Everyone involved with the production of this book and the next five has been blessed beyond measure to have known Dianne and be a part of giving readers a chance to meet Rob and Maggie and visit the beautiful, fictional isle of Innisbraw. Leave a message for her family and sign up to hear the latest about her books at Dianne's publishing page or "Like" her Facebook page. Also, sign up for the Ashberry Lane newsletter to always know the latest about Dianne's releases. 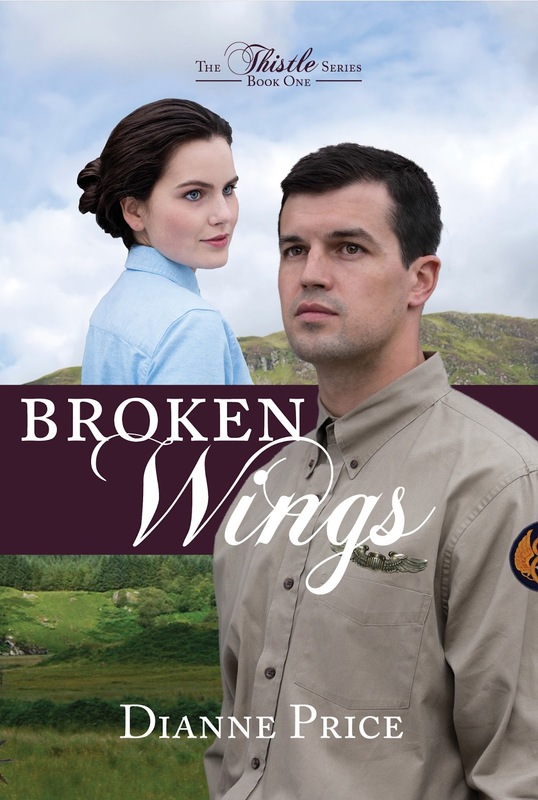 Also, if you leave a comment here, you will be entered to win a digital copy of Broken Wings. Winner selected by random.org on Friday. Welcome AMBER! We are so happy to have you here this week, and that you have agreed to share a bit about yourself. Q: First of all, apple pie and ice cream, apple slices and caramel, or apple juice in your juicer J note the sliding scale from decadence to health? A: I'll take the ice cream and the fresh apple juice. :) I try to keep everything in balance. My favorite thing from my juicer is celery and carrot juice. Q: When did you first know you were a writer? A: I have always had an active imagination and even as a young girl I would make up stories and play them out in my make believe. I started writing those stories down when I was about fourteen. But the real calling came about the time I graduated from High School. I had been doing a lot of study on how media and books affect people's attitudes and worldview. It was astonishing how the subtle messages that have been worked into entertainment over the years has completely transformed our nation and our morals. I realized that someone needed to write stories that upheld morals, faith and godliness. The Lord then led me to Habakkuk 2:2 which says " And the Lord answered me, and said, Write the vision, and make it plain upon tables, that he may run that readeth it." That became my commission. Q: How does your faith play into your writing? A: My faith plays very strongly into my writing. All of my stories come from a distinctly Christian world view with a high moral standard. However I never want my reader to feel like they're being hit over the head with a Bible. :) That hurts. Q: If you could sit down and interview any person, fictitious or real from any time, who would that be and what is the first question you would ask? A: Wow, that's a hard question! I would want to interview Jesus. But everything I think about asking Him, He's already left an answer for. I thought about asking Him to explain how much God loves us, but the whole Bible is filled with examples, symbols and types. He would just say to me "For God so loved the world that He gave His only begotten son." I thought about asking Him when the rapture would come, but He would answer "No man knows the day." So I would probably ask Him why I wasn't born during the time when He walked the earth. That's something I've wondered about a lot. Q: Who have been your mentors, and how did they help you most? A: The ladies over at Seekerville have been a great inspiration to me and have taught me so much by their blog posts etc. I have also learned a lot from Giovanni, my rep over at Helping Hands Press. He's taught me a lot about marketing and staying in touch with readers. Q: What do you hope your readers will take away from your debut? And can you hint at any works to come? A: I want my readers to come to the same realization that Aaliyah does, that bitterness is a terrible disease that is far worse than leprosy. And Jesus Christ is the only one that can heal us of that disease. Next, I'm working on a Christmas story I'm calling The Swaddling Clothes. Many stories have been told down through the ages about Mary, Joseph and the birth of the Messiah. Stories of shepherds and sheep, kings, angels, and stables. But there is one story that has never been told. One story that has remained hidden in the fabric of time. The story of The Swaddling Clothes. Q: Do you have a question you would like our blog readers to answer? A: Have you ever struggled with bitterness? What helped you to overcome it? 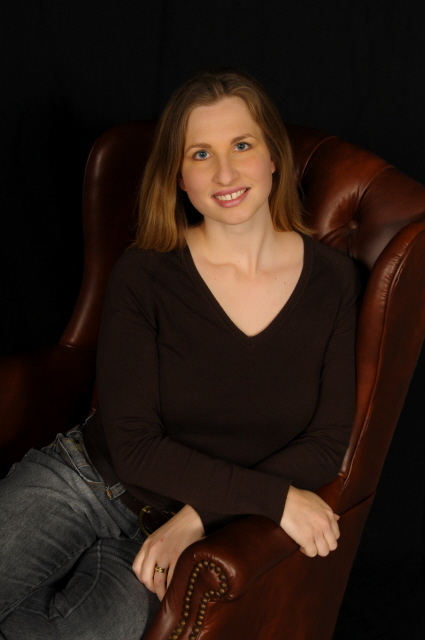 Amber is offering a digital edition of The Healer's Touch to one lucky commenter this week. Leave an answer in the comments to her question (in green, above) to enter to win. If you share this post on facebook, twitter, Google+, and if you like or follow any of Amber's links below, let me know for extra entries! Aaliyah's last chance at winning her husband's love is destroyed when she is banished from her home as an 'unclean' sinner, exiled to the leper colony. When a chance at being cured comes in the form of a rumor, she must risk her life to appear in public, or die a leper. Amber Schamel was born in Littleton, CO and has traveled extensively throughout the United States, Europe, and the Holy Land. She was raised in a family of 11 children, homeschooled through education and currently works with their 10 family businesses as bookkeeper and marketing director. She volunteers half of the summer at a non-profit Christian Family Bootcamp in rural MO helping and ministering to young girls and Christian families. Amber loves history, culture, reading and music. She has a musical ministry and travels throughout the United States ministering thru song. 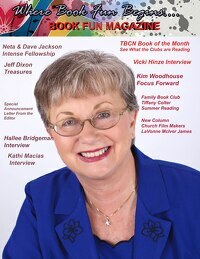 During her spare time she enjoys crafting Christ-honoring stories that will inspire and encourage her readers. 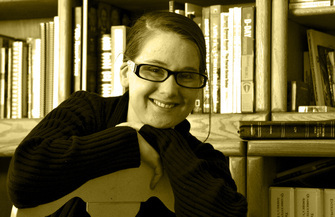 Amber currently lives with her family outside of Colorado Springs, CO.
Amber, thank you for being with us this week. I wish you every blessing as you write for His glory! Thanks so much for having me on your blog this week, Kathy! I've enjoyed hanging out with all of you. I'd love it if ya'll would stop by and say hello. Here's where you can find me. you have agreed to share a bit about yourself. but I don’t like Pepsi or coffee and well, celery sticks?? Q: How does history play into your writing? time and locale. And sometimes it does and I have to rearrange/rewrite things. who would that be and what is the first question you would ask? Who: Christ. Question: Would you take me home? a kick in the pants when my story goes off-kilter. hint at the series to come? That keeping things that hurt secret only causes you more hurt. The enovella prequel, Love by the Letter, is free right now on kindle. Download your copy here. he handle her knowing what a dunce he really is? as you write for His glory!